Conditional Logic – You can limit where will your Custom Code be used. For example you can only use your code on a single post that has a Post Format Video. 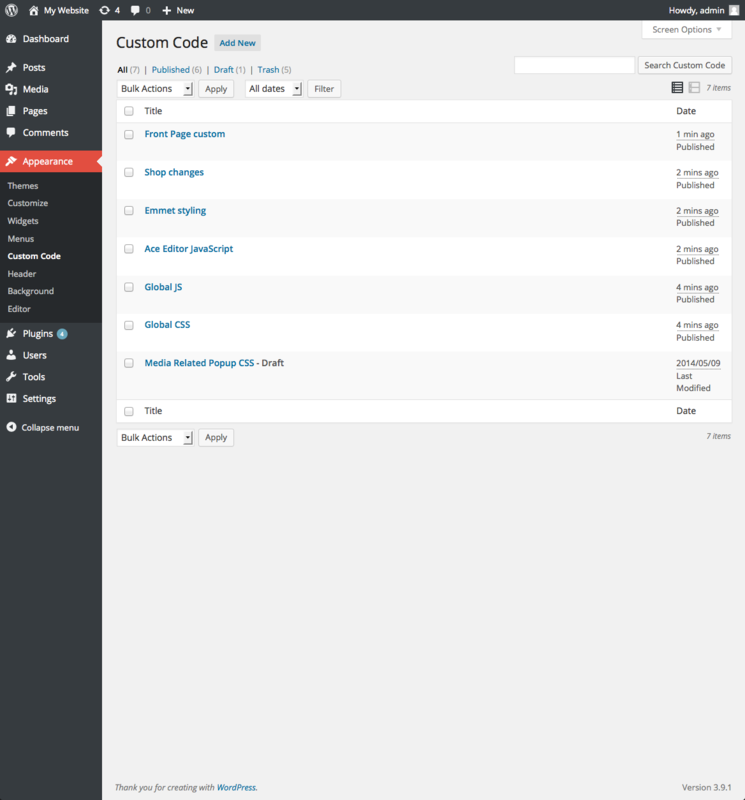 Or you can limit your code to a specific theme, that’s useful if you switch themes a lot. 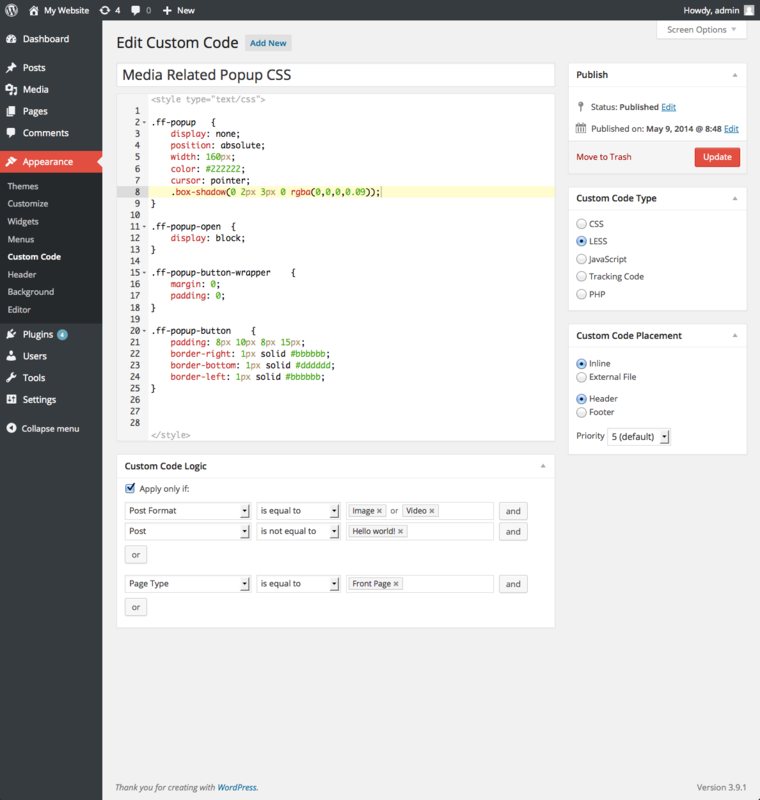 Placement – place your code in the Header or Footer to get maximum flexibility/performance. Prioty – set Priority where the default value is 5, highest is 1 and lowest is 10. A code with a higher priority will be printed after the code with a lower priority. 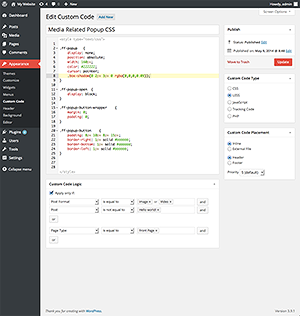 Status – Publish your Custom Code now or at a set time. 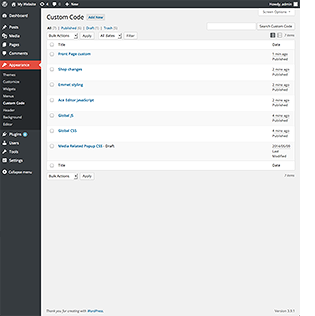 By using the Draft feature you can write your code but it will not yet be visible to public.